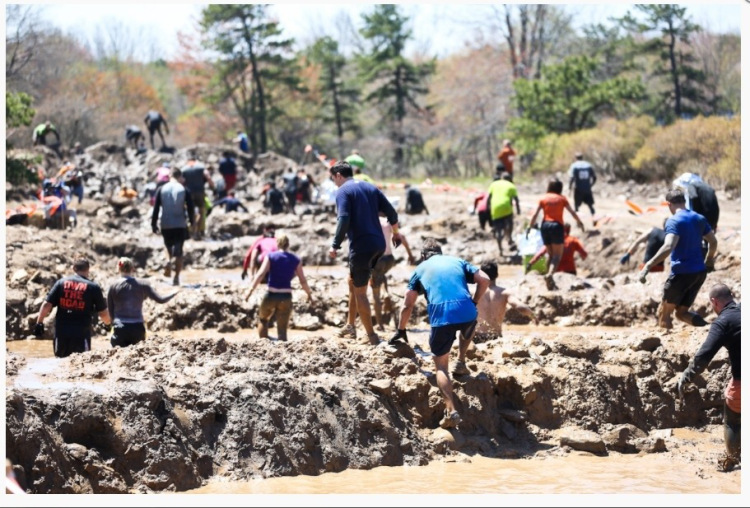 Home » SHOULD I WEAR GLOVES FOR A MUD RUN? One of the most common questions asked by participants who participate in a mud run, is “Should they wear gloves and if so, which ones?” While it makes perfect sense that gloves will protect your hands, the question for a mud run is really “Will they help you complete the obstacles?” The answer to this lies in one key point – how will they perform when wet and muddy. If you are running a Spartan Race Stadium Sprint, by all means, wear some gloves. They will protect your hands at several obstacles and if you need to take them off, no problem. But stadium sprints are different than mud runs because…there is no mud! For actual mud runs, gloves are not your friend. The course designers of mud runs (or obstacle course races (OCR)) purposely put you through mud or water right at the start and/or right before any obstacle requiring grip. This is on purpose. 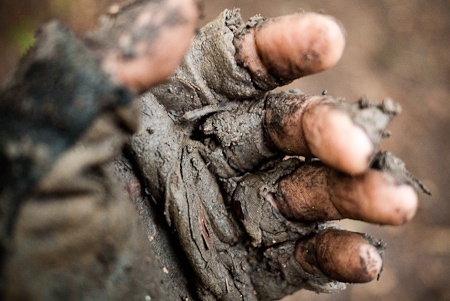 If you are wearing gloves, they are now wet, covered in mud and heavy and the race just got started – not a good start! When gloves are wet, they lose their grip on whatever you are trying to gain an advantage over. Regardless of whether you have rubber, leather, or suede gloves, you have set yourself at a disadvantage when you wear them. Don;t believe me? Well, let’s assume you did climb up a muddy hill using your gloved hands an were immediately presented with a set of monkey bars. 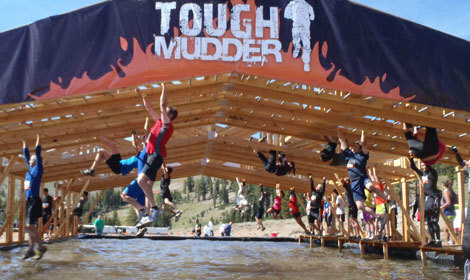 In order to not slip you need to have dry and non-muddy hands to complete this obstacle. But wait – you have wet muddy, gloved hands! Gloves are hard to dry and even harder to get mud off. Both tasks will be impossible to achieve during a mud run. So, now you are stuck trying to complete the monkey bars with these less than perfect gloved hands. If you were bare handed, you could shake your hands out or rub them together to dry them out. You could use your clothing to wipe the mud off if necessary. But more importantly, when you are swinging across the monkey bars, you are fully aware of how much or how little grip you have. Your bare hand provide this feedback – gloves do not. As such, you can increase your grip when needed so you do not fall off. But wait, I hear you saying to yourself “Well, I’ll just take them off at monkey bars.” My response to you is, “Have you ever tried to take off wet, muddy, well-fitted gloves before?” It’s no easy task. But even if you do decide to spend the time peeling the gloves off, you are still left with the decision of where to put them. Many stuff them down their pants or shirt and even toss them at this point – so why start with them in the first place? If you decide to keep them on, you are left with gloved hands for the duration of the event that are heavy due to the water and hot as they don’t let your hands breath. Imagine the event is in a hot and dry climate. In half a mile, you will be begging to take the gloves off because you are so hot. The internet is full of articles and discussions about which glove is best for OCR events. 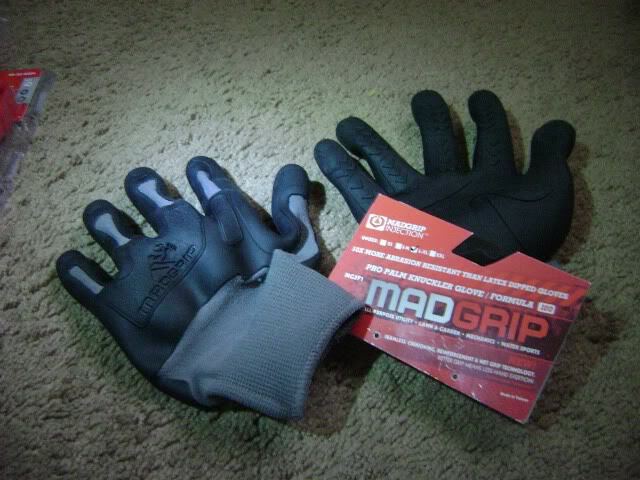 Mad Grip and Mechanix Gloves have been discussed at length, as have lifting gloves, paddling gloves and even motocross gloves. They are still all flawed for this application. It is not because they are bad products, they just were not designed to swing on bars after being dipped in a mud bath. Another part of the equation is fit. The gloves have to fit and fit perfectly. If the glove is loose, then you will not only slip on the bar but you will slip inside the glove itself. Both scenarios will cause you to fall. The tighter the fit, the harder the gloves is to get on and off – especially when wet. So in order to improve a gloves performance, you must have a good fit, that you will have trouble taking on and off – not ideal in any way. There are some places on the course where gloves might be desired but the costs mentioned above need to be heavily weighed. Dragging a weight with a chain or rope is one case where gloves can come in handy. This is solely because failure to hold onto the rope or chain usually does not mean you failed the obstacle. You have to decide if you truly need gloves as protection on obstacles such as these or if you can handle a little abuse to your hands for the day. 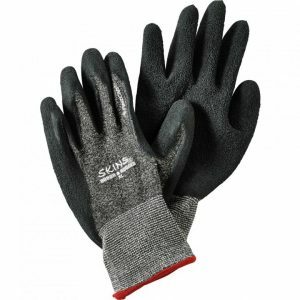 Skins Work Glove – Remove the fingers to above the first knuckle. 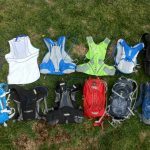 If, after reading this article, you are still convinced that you need gloves, then, by all means, go out and buy some! You’ll want to find the lightest, thinnest rubber-faced gloves that fit your hands. 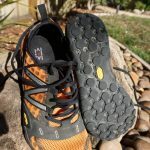 This will allow you to easily carry them when running and doing other obstacles. They will not hold much water but provide a thin protective layer between your hand and the chain or rope you are pulling. Still, I believe that gloves create more of problems than they solve. You are going to get bumped and bruised along the way of any mud run, and the least of your concerns will be that your hands will be doing more work than they do during your day-to-day activities. So, do yourself a favour and leave the gloves at home. Then, go and enjoy your event and you’ll find your more successful at the obstacles as a result.